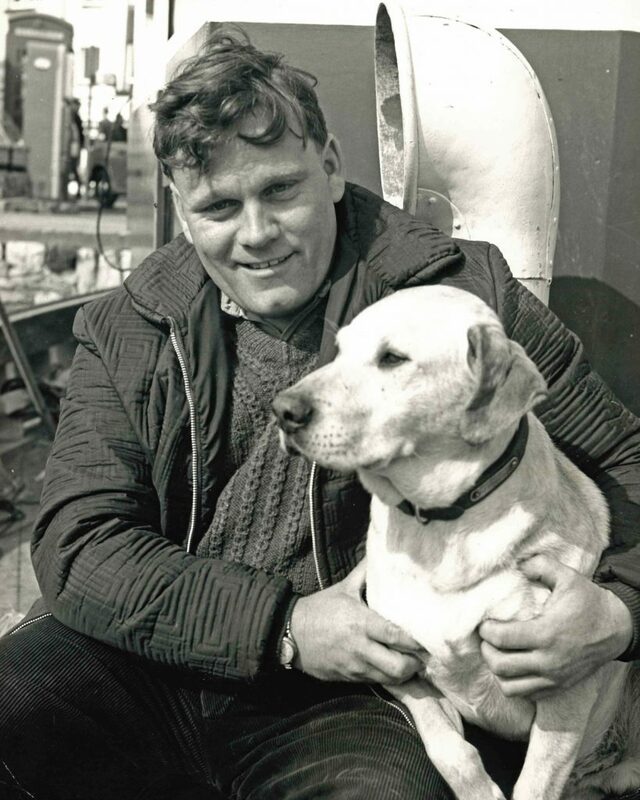 There have been a few people who have helped me along the way during my career within the fishing industry, but none more so than Reg Matthews, who sadly passed away on 22 January, 2019, aged 87. Reg Matthews was a well-known and popular figure in Teignmouth, which was his home town for the whole of his life. I first met Reg when I was looking to leave the family business and go it alone in 1985. 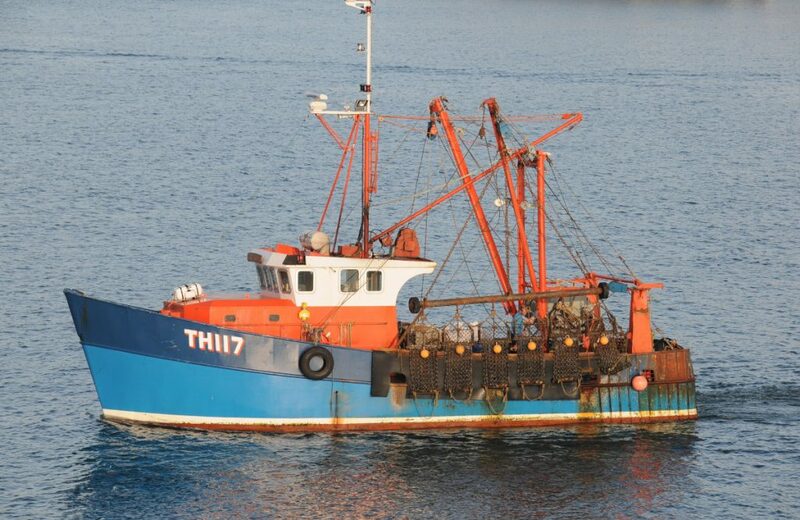 Although he was the harbour master, he had a couple of working fishing boats, Girl Rona, and one he was wanting to sell – Thisldoto (pronounced ‘This’l do too’). This was the second of two ‘Thisldo’s’ – the first being Thisldome (pronounced ‘This’l do me’). During his career, he had 10 boats altogether – Pinto, Torbay Star, Thisldome, Two Sisters, Limanda, Thisldoto, two Girl Ronas, and with me, Euroclydon and Amadeus. At that time, I was looking for a vivier-crabber, or one that would convert, and this one looked perfect. Having talked about a price, I went to the bank for funding, but as they wanted 50% from me, my plan came to an abrupt halt, as I had only saved up about 20%. I let Reg know, and resigned myself to staying with the family business. A couple of months later, Reg called me to say that he was having trouble finding a buyer. He knew I couldn’t raise enough funds, but wanted me to go and talk an idea through. He suggested that I put in what I could. We’d get loans and grants from Seafish, convert the boat to crabbing, buy some pots, and I could pay him off as we started to make some money. We set to it very quickly, and had everything lined up with shipwrights and engineers to start the job. 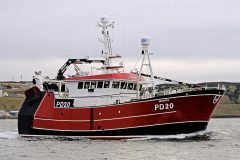 Meanwhile, there was a fisherman in Scotland who was keen on the boat, but hadn’t been able to sell his own – up to now! He turned up at Reg’s door with the money in the bank, and wanted to take it away. Reg had to let it go, as it was cash in the hand, and I actually let the ropes go in Brixham and saw what I thought was my dream sail away. Reg, being Reg, immediately said to me on the quay that he would not let me down, and we went to see the Seafish man again – Rod Watts. “Rod, how easy would it be for Trevor to get a grant on a new boat?” asked Reg. Well, that took me back a bit – I wasn’t expecting that. But the answer from Rod was what I would have expected. “No chance.” I was a nobody, with no track history. 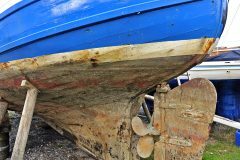 “How easy would it be for me to get a grant for a new boat?” Reg asked. “No problem,” was the response. And so we set about finding a yard to build us a 56ft vivier-crabber with a three-quarter shelterdeck. At first we looked at timber yards, but we were persuaded to visit Cygnus Steelship in Truro, where they had finished a tug and were well on with an 87ft trawler for Orkney. We liked what we saw, and had a budget of £240,000, which was agreed by the yard. However, Rod said that we should go for 60ft, because that extra 4ft would be in the middle of the boat and be the cheapest it would ever be. With the loans and grants available, we could afford the extra £20k quoted. So now we were at £260,000. Drawings and spec approved, I popped into the yard after an anniversary weekend in Cornwall with my wife, where the manager greeted us with the news that they could not build it for £260,000; it had to be £320,000! I was gutted, as there seemed to be no way we could afford to carry on, but when I told Reg, he just said that we should talk to Rod again. So with a bit of creative accounting, we agreed that we could still do it, and put down £32,000 between us as a deposit. Six weeks later, Cygnus Steelship went bust! There was a slim chance of getting our money back, but we would have to wait for at least a year, so I said to Reg that it looked like the end of the road. “The only way to get our money out of this is to get a boat built, and get it to earn,” he said. So I did. They agreed, and as they knew our circumstances, they allowed us to forego the deposit until we were expected to get it back. We would have to pay it then, whether we got it back or not. Twelve months later, we launched the Euroclydon at Miller’s Yard on 2 February, 1987. When finished, she cost £380,000 – slightly over our original budget! At the launching celebrations, the after-dinner speeches included one from Reg. Halfway through his speech, he recounted the question I had asked him, as to why he was doing this for me. “Well, I can tell you now,” he said. 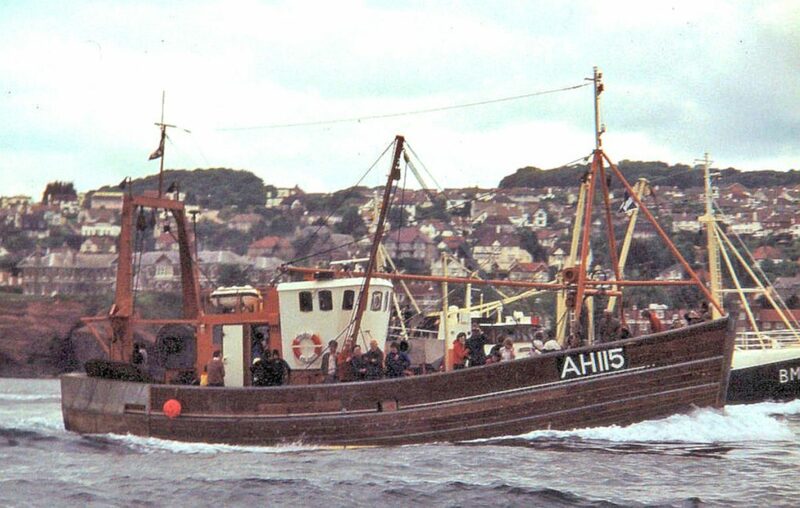 When he was younger and fishing sprat in the Thames with the Pinto, he was looking to get a bigger boat from my grandfather, Maurice Browse, who had a few boats including the Torbay Pearl. Reg had agreed to buy this from him in November, at the end of the sprat season when he had enough money. One Saturday in June, my grandfather phoned Reg to ask if he still wanted the boat and, if so, to come to Paignton to see him that afternoon. Reg agreed, and got in his car. They don’t make ’em like that any more, Reg, and you will be greatly missed. Thank you for all you did for me, and the trust you put in me, and I hope I have done you proud. 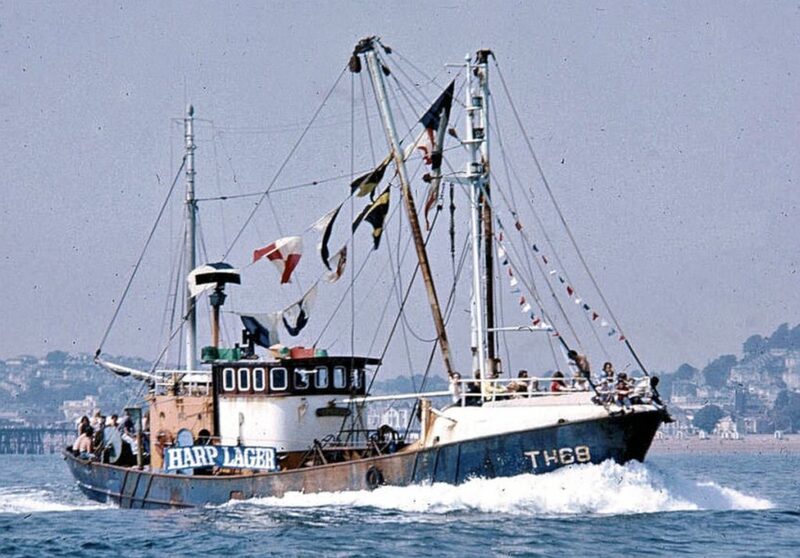 I met Reg Matthews for the first time when he came to Southend after my family had bought the 50ft beam trawler Anja from Holland. I was 19, and crewing with my father. Reg patiently taught me how to make new beam trawls for Anja. Why had he come so far from his home in Devon to help us, I asked? A long and interesting story was told. Sometime earlier, he had come to the Thames to fish sprats, when my father and his brothers had helped him. He had done well, and had made and saved enough money to have a new boat built when the season finished. It was his way of saying thank you. Over the years, we had contact many times, nearly always when he helped me out, including giving us a sprat net when we had smashed up several trawls in a week. A few days staying at his holiday flat, and even in his house – nothing was too much trouble. We shared an interest in rugby and sailing. I found out he had sponsored Jason Robinson, the England winger, and his only reward was one of his shirts. 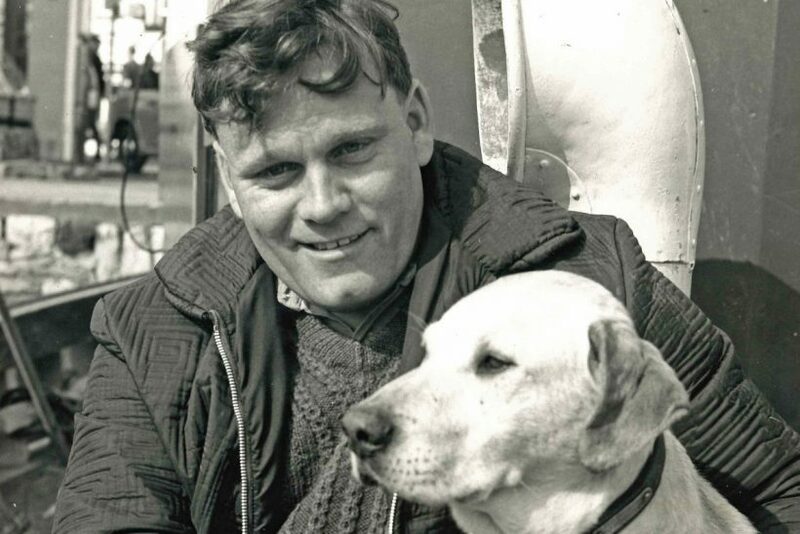 A great guy, in my experience, sadly missed but not forgotten – and the beam trawls worked a treat – ‘a proper job’.